The massive Victorian pile of Dunston Hall will be familiar to anyone who has travelled along the main road between Norwich and Ipswich. For years it was derelict, a brooding presence shadowed by unmanaged woodland, but today it is a busy hotel and conference centre, fringed by that increasingly found blot on the rural landscape, a golf course. 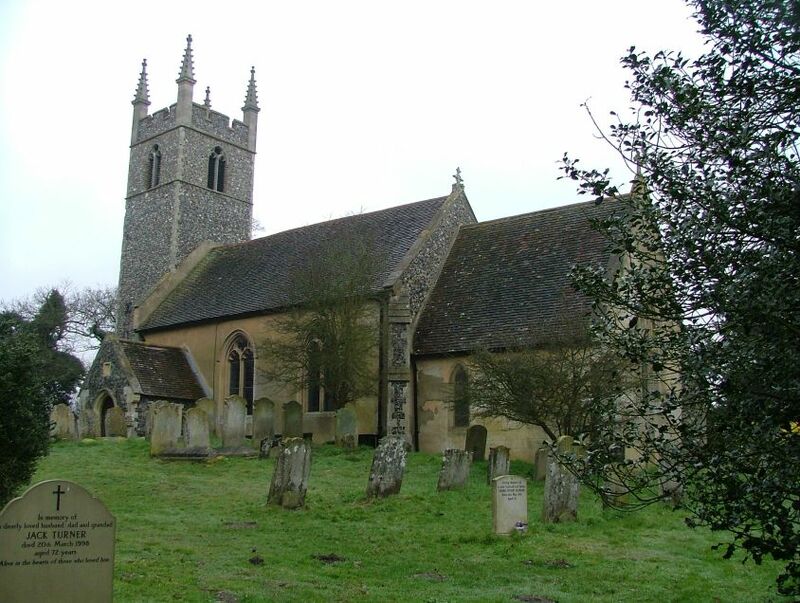 There are still a few trees, of course, and among them sits St Remigius. 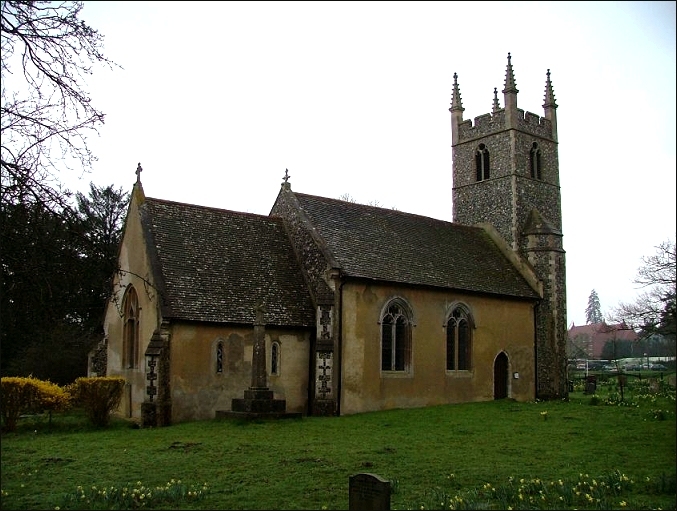 It is often the case with churches in this area just to the south of Norwich that they appear deceptively remote, and that is certainly the case here. You cannot reach the church through the massive gate on the main road which leads to the hotel grounds, which are, in any case, private. Instead, you have to walk several hundred metres from the back road to Stoke Holy Cross. When you get there, the graveyard is like a little oasis, this pretty little church in the middle. Access, as with a number of churches around here, is through the north door, and the stone path outside it is slippery in wet weather, so do be careful. 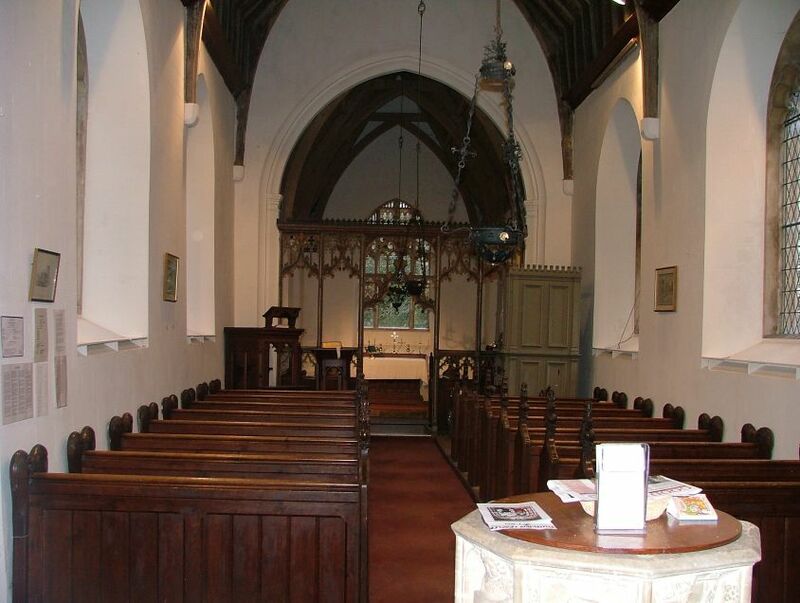 As I say, the church is pretty, but doesn't really promise much from the outside. 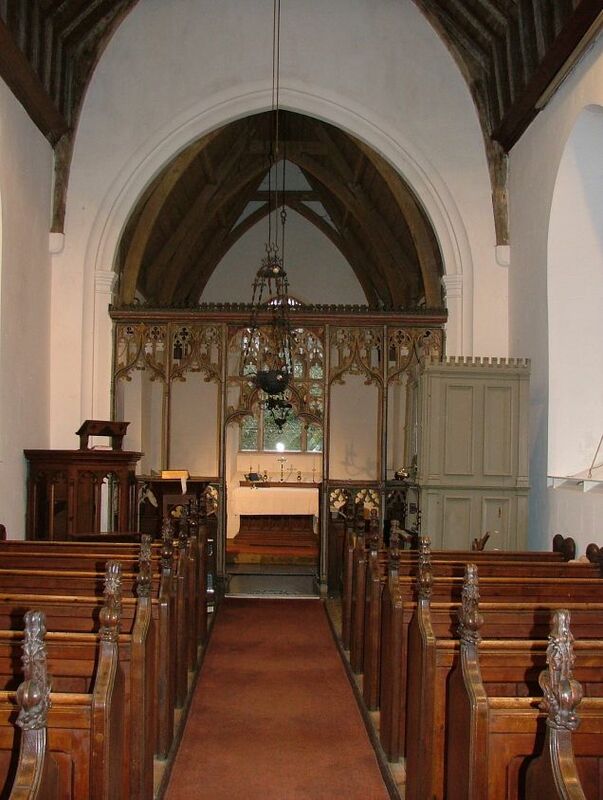 The chancel is interesting, with its Norman lancets, but there was a pretty overwhelming restoration, and money does not seem to have been in short supply here in the late 19th century. This may lead you to think it isn't worth getting the key, which is way off near Stoke Holy Cross, but there is much more to Dunston than meets the eye. From the photograph at the top of this page, it may not be immediately clear quite how small the building is. The crispness of what was essentially a Victorian rebuilding of the tower, and replacement of all the window tracery, makes a little wedding cake of it. It was clearly intended to be a 'view' from the Hall. 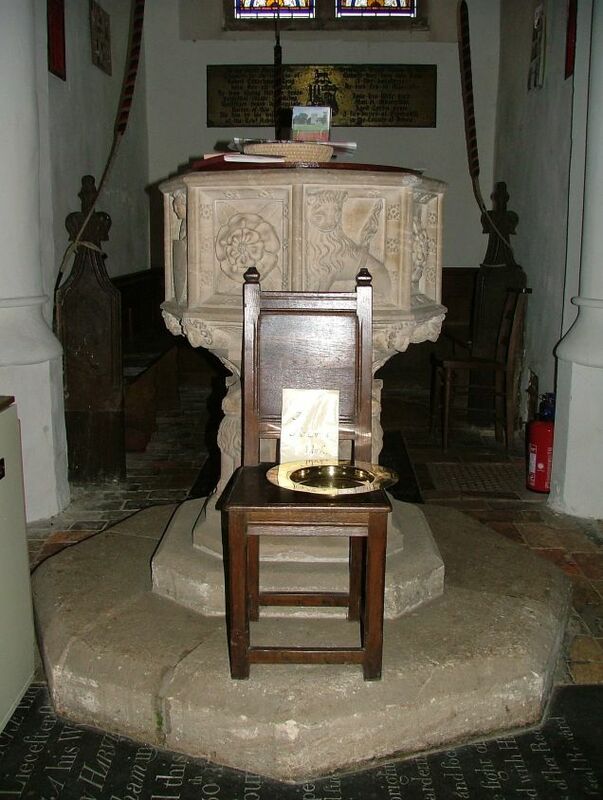 But the church you step into is by no means the urban, anonymous restoration that you might fear or expect. Here is a delightful, rural space, a Victorianisation on a small scale, which has retained many good things and furnished others. 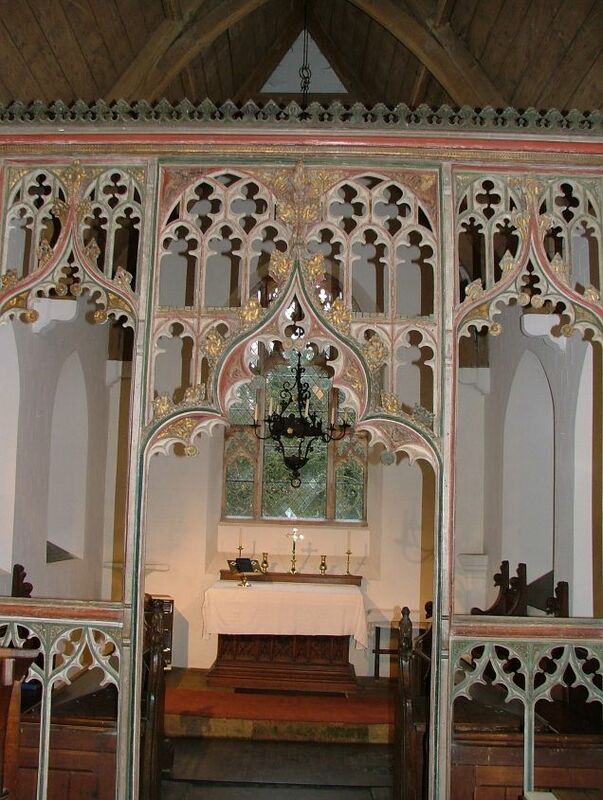 The most spectacular survival is the 15th century rood screen, only two bays each side of the central walkway, but imposing in this small building. 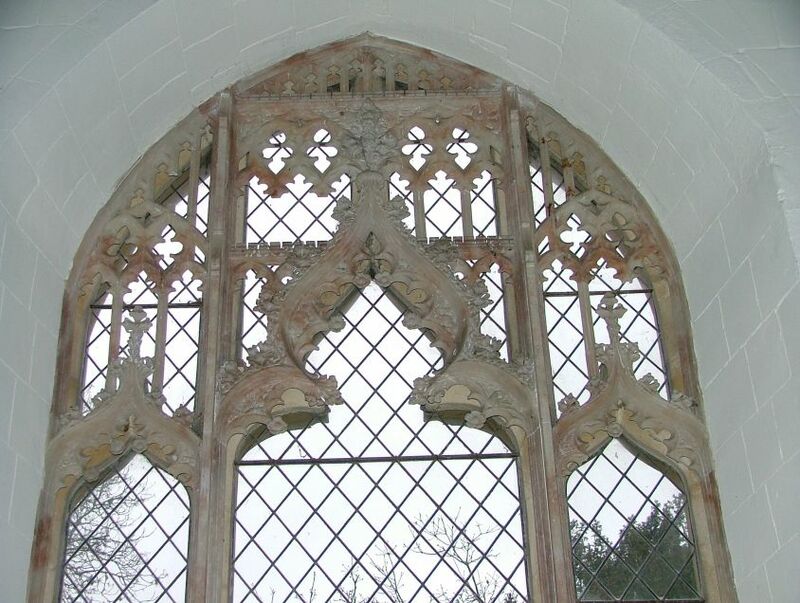 The panels have been lost, but the lights of the upper tracery and the spandrils are a riot of bubbly carving. 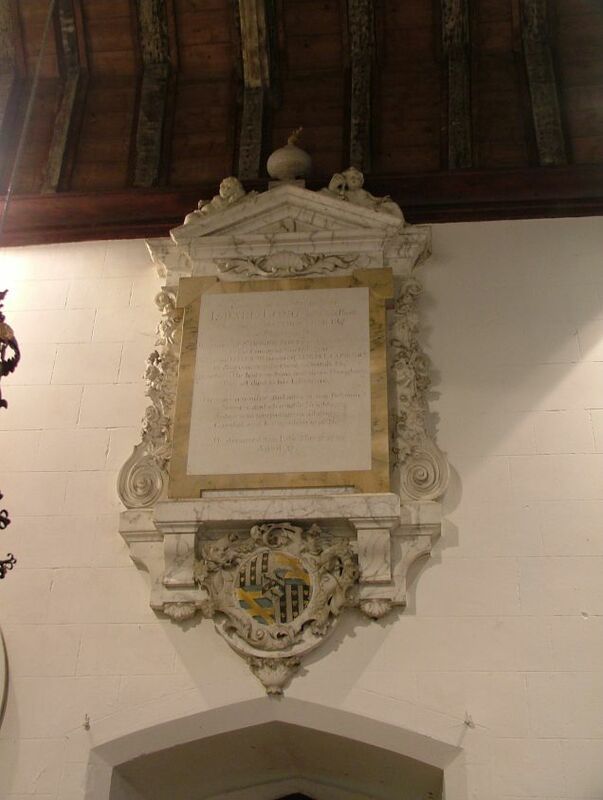 Best of all are the figures above the centre section. A wolf is paired with a lion fighting a dragon. Above, a more imposing, almost oriental dragon, watches as a determined wild man creeps up on the opposite side. Wonderful stuff. 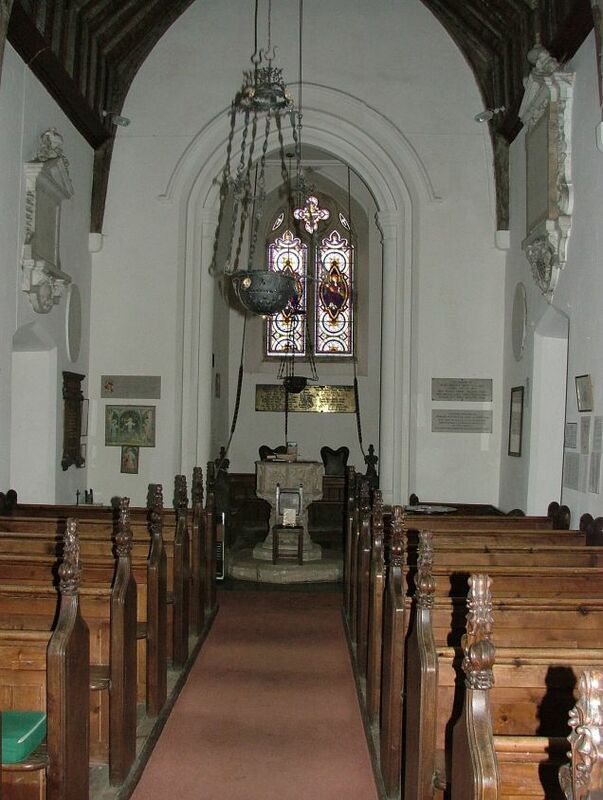 Walking through into the tiny chancel is like stepping into a jewel. 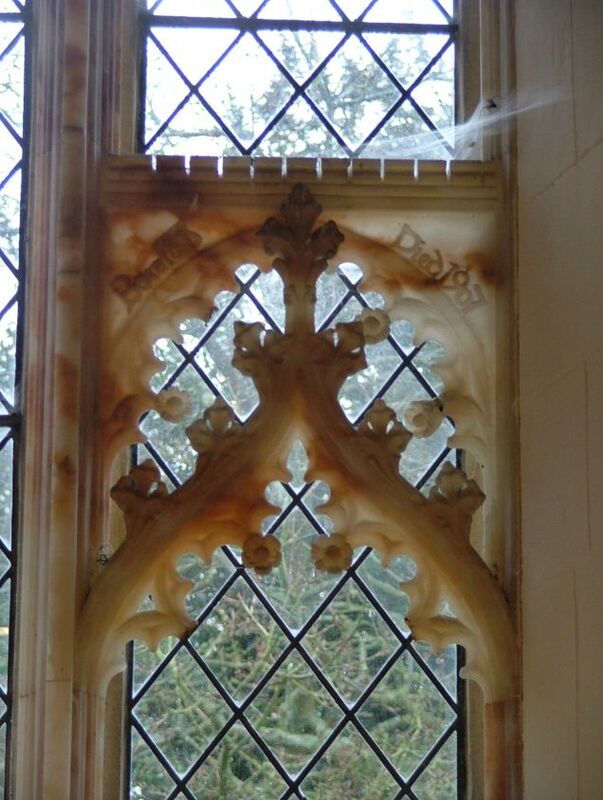 The east window tracery is made of carved and polished alabaster, as if this was the side chapel of a Cathedral or great city church rather than an East Anglian backwater. 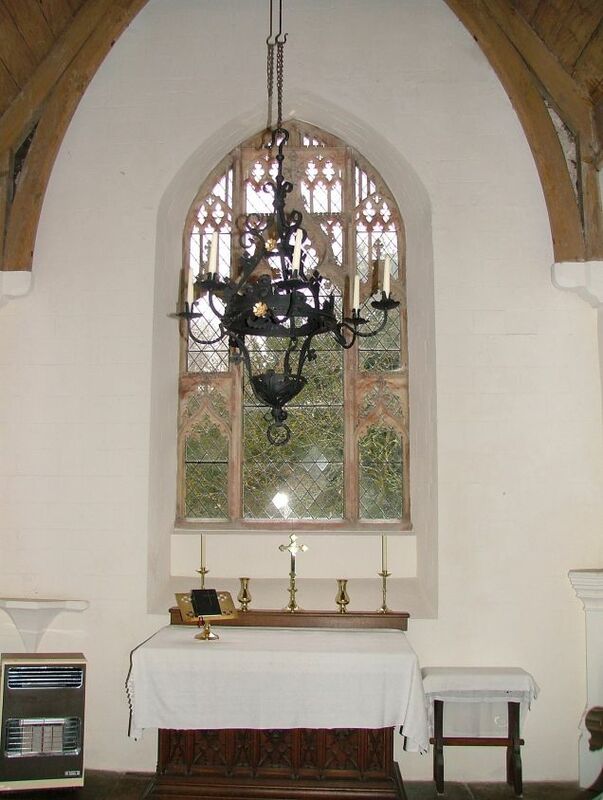 It dates from a cosiderable reordering in the early years of the 20th century, as does the glass on the south side, which is all good, and some of it is medieval. This includes part of the figure of a beautiful St Christopher carrying the Christchild through a fishy lake, and a woman donor kneeling before St Remigius. Possibly these were bought from elsewhere for the restoration; the modern parts are by the King workshop of Norwich, I think. 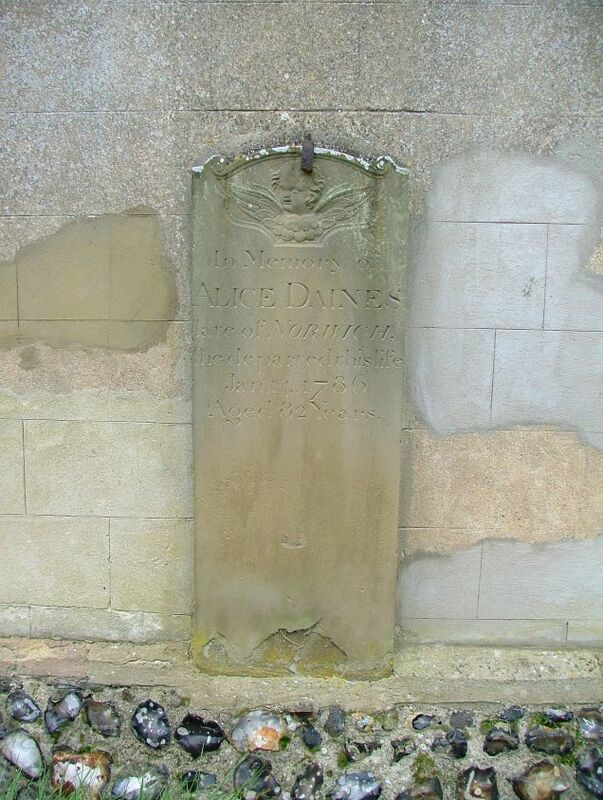 An unlikely find is another composite representing St Nicomedes, who I don't think I have come across elsewhere in East Anglia. 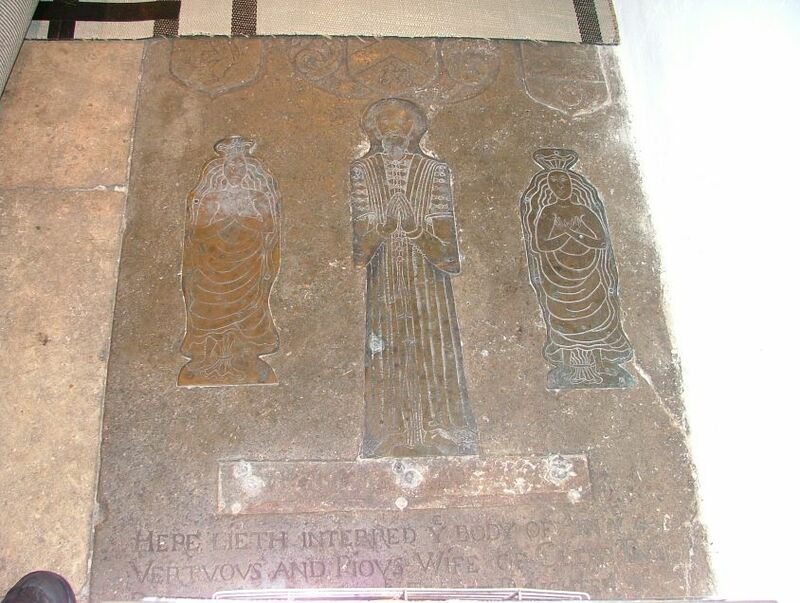 What at first appears to be another medieval survival is the excellent set of three figure brasses in the sanctuary. 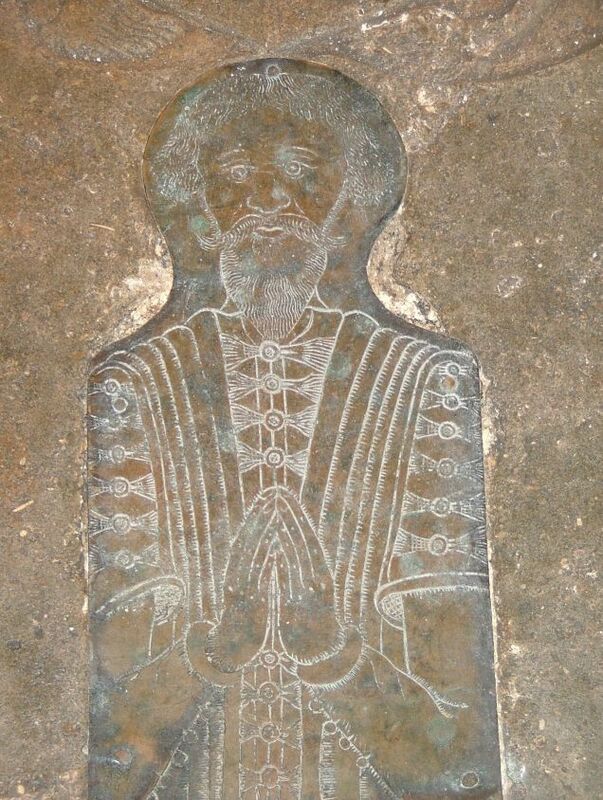 In fact, they are later, perhaps 1630s, and depict Clere Talbot between his two wives (not at the same time, of course). The wives lie in their shrouds, looking like nothing so much as if they have been interrupted in the bath. 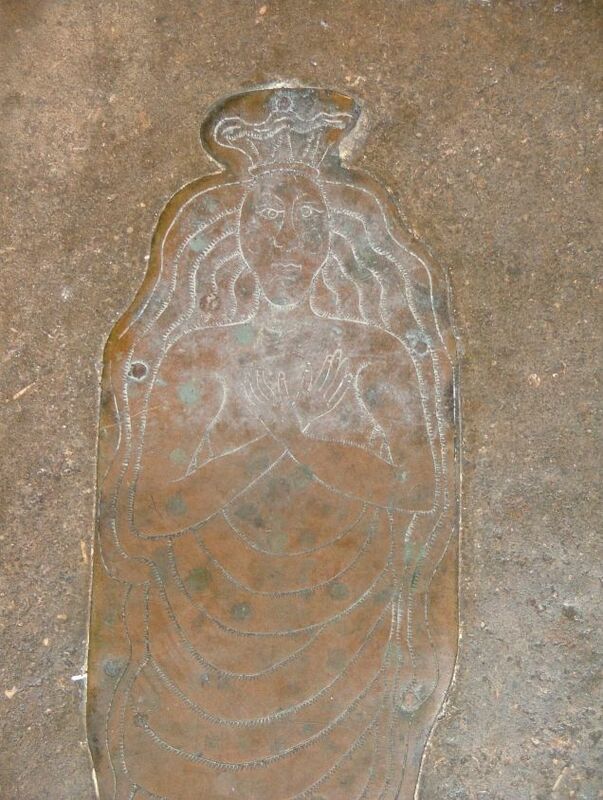 The inscription is to the second, Ann, and her figure brass is the best of the three. A puzzle is the pair of little openings either side within the tower arch. Can they be, as Mortlock suggests, partially filled in banner stave lockers? 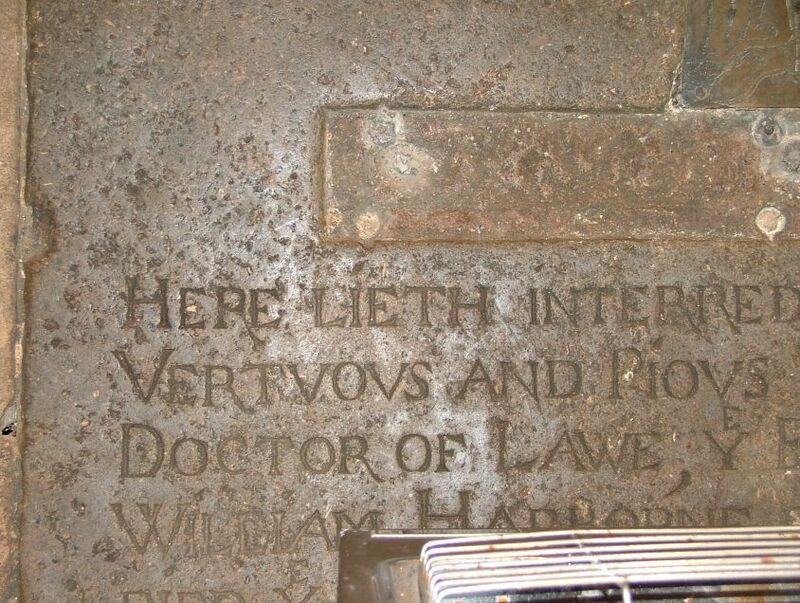 He also draws our attention to the elegant and oratorial ledger stone to Susan Long in the chancel. 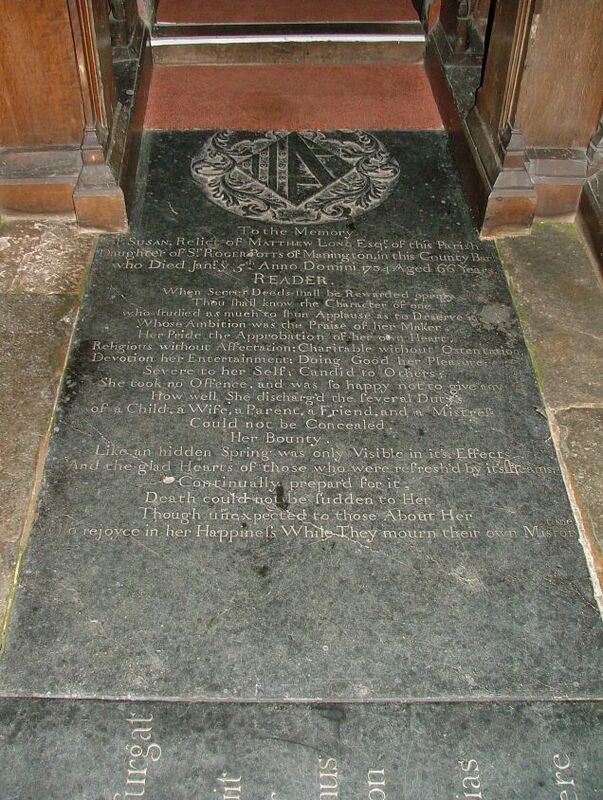 There are other memorials from the 18th and 19th centuries to various members of the Long family, but walking back down the church, you sense again that the busy life of this place was lived in the early decades of the 20th century. Perhaps, like so many of the landed estates of East Anglia, it was the First World War that brought all the prosperity to an end. As the historian AJP Taylor has observed, the Victorian era lingered on in rural England and finally came to a close on the Fourth of August 1914, when war was declared. 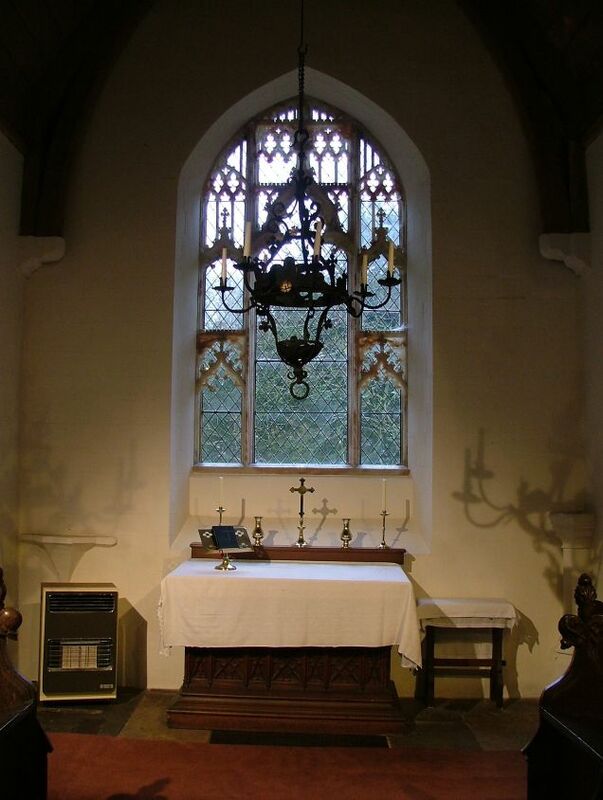 Nothing would ever be the same again.The alabaster tracery and a hanging Art Nouveau lamp speaks of the confidence and elegance of the years before. 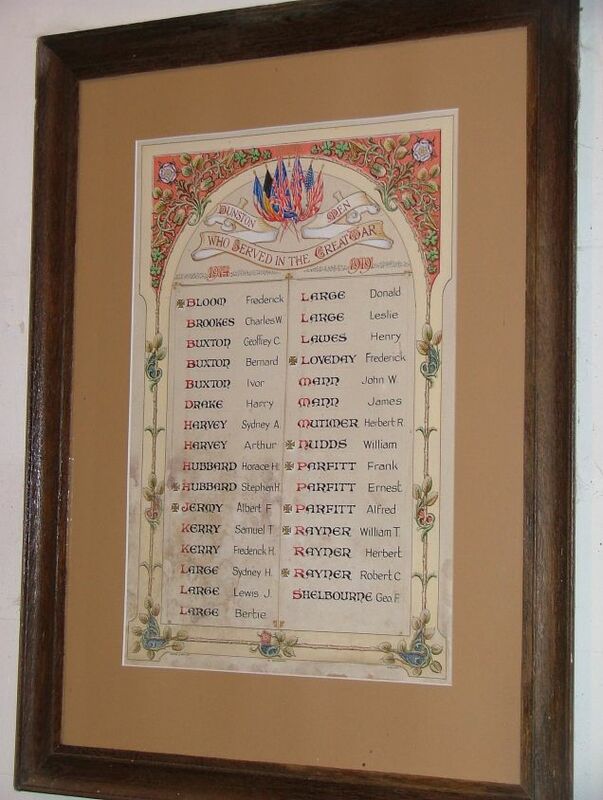 The original WWI Roll of Honour survives in a frame to remind us of what was lost.